What Dr. Phelan talks about in this article are the “positive affects” of Ritalin and the “side affects”. He also discusses dosages and the timed release formulas. Insomnia: usually only a problem if medication is taken late. * Appetite suppression: very frequent; research shows however, that this is usually temporary phenomenon and after about 6 months the child will rebound and resume more normal eating patterns. * Headaches and stomachaches; sometimes occur in the beginning of using a medication and many times will disappear in a very short period of time; if not, another med may have to be tried. 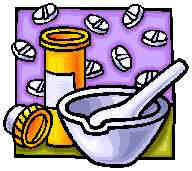 Stomachaches can usually be reduced by taking the medication with food. * Sadness or irritability: not common, but if it continues, the stimulant medication would have to be stopped. * Tics: rare, but medication would be discontinued. Dr. Phelan continues that sometimes doctors need to use Tricylic Antidepressants for other problems that can develop such as: bed wetting, chronic pain, panic disorders, and sleep disorders. (Note that these side-effects were not listed before.) Essentially, they will treat the effects of the drug with another drug. * Can it have an effect such as sleeplessness? * What impact does it have on height and growth? Is a free educational resource for parents looking for information on ADHD. This is a "must see" web site if anyone is considering using ADHD medication. Stimulants can also make the symptoms of Tourette's syndrome worsen. Some children experience "withdrawals" from coming off of the dose as Ritalin side effects. Parents should alert their doctor to any Ritalin side effects experienced. It is recommended that, since safety and effectiveness of Ritalin has not been established and can cause especially severe reactions in children under 6 years of age, Ritalin should not be used for that age group. Despite that, the number of stimulants prescribed for children ages 2 to 4 has increased 200 to 300 percent between 1991 and 1995.Ritalin can be helpful in the short term in reducing ADHD symptoms but no physician will claim that Ritalin cures ADHD. Stimulants used for ADHD symptoms merely postpone dealing with the root cause of the behavioral and attentional problems.The more lasting and more entrapping Ritalin effects is the high potential for Ritalin abuse and addiction. Of the many psychoactive drugs prescribed to children in the United States, two controlled substances are widely prescribed to treat children: methylphenidate (Ritalin and the newest form of Ritalin, Concerta) and amphetamine (Adderall and Dexedrine). Both of these substances are powerful stimulants classified as Schedule II narcotics in the Controlled Substances Act since 1971. Schedule II is the classification for medical drugs with the highest abuse potential and addiction profile R.italin abuse and Ritalin addiction are prevalent Ritalin side effects. Ritalin is closely related to the illegal street drugs Methamphetamine, street name "crystal meth." Ironically, our society imprisons people for manufacturing drugs similar to the drugs physicians commonly prescribe to millions of children. A significant amount of literature is available that describes Ritalin abuse and Ritalin addiction. Like amphetamines and cocaine, Ritalin abuse and snorting Ritalin can lead to marked tolerance and addiction. Data from physicians, parents, schools, poison control centers, adolescent treatment centers and law enforcement show that adolescents who abuse Ritalin commonly obtain the drug from people that have valid physician prescriptions for Ritalin Adolescents give and sell their Ritalin medication to schoolmates and friends, who are taking Ritalin orally, crushing the tablets and snorting Ritalin powder like cocaine. Another form of Ritalin abuse is through dissolving Ritalin in water and injecting the fluid. The pattern of Ritalin abuse and addiction is characterized by increasing dosages and frequent episodes of bingeing, followed by severe depression. Severe Ritalin side effects, including death, have been reported with Ritalin abuse and addiction. Drug Enforcement Agency data shows that Ritalin abuse and addiction has high potential. The inappropriate use of Ritalin, Ritalin abuse and snorting Ritalin carries significant risks. A DEA survey found that between 30 and 50 percent of adolescents in drug treatment centers reported Ritalin abuse – taken orally, through snorting Ritalin or injection. A Indiana University survey of 44,000 students found that about seven percent of high school students surveyed reported Ritalin abuse – taken orally, through snorting Ritalin or injection - at least once. Of those students, 2.5 percent reported Ritalin abuse monthly or more often. Reports from students and faculty on college campuses also show Ritalin abuse. These reports indicate that students use Ritalin as a study aid and a party drug in the same manner that amphetamine was used on campuses in the 1960s. Since 1991, prescriptions for all drugs to treat Attention Deficit Disorder have quintupled. This year about six million children - roughly one child out of every eight - will take Ritalin or other forms of ADHD medications. Ritalin abuse and addiction increased with the increase in Ritalin prescriptions. Poison control data, emergency room data and high school surveys all indicate that Ritalin abuse has increased significantly since 1990. In 1990, there were 271 emergency room mentions for methylphenidate (Ritalin) in the Drug Abuse Warning Network. In 1998, there were 1,727 mentions – a sixty-fold increase - for methylphenidate (Ritalin) in the Drug Abuse Warning Network. Children between the ages of 10 and 17 accounting for 56 percent of those emergency room visits from Ritalin abuse. According to the United Nations, the U.S. produces and consumes about 85 percent of the world's production of methylphenidate (Ritalin). Continued increases in the medical prescription of Ritalin can only lead to increased Ritalin abuse and addiction among children. Ritalin is often referred to as "Kiddie Cocaine" for good reason. Long-term Ritalin effects have been linked to brain development abnormalities similar to those found with cocaine use. The Journal of the American Medical Association, one of American's leading medical journals, published an article in August entitled "Ritalin Acts Much Like Cocaine. "An Archives of General Psychiatry report states; "Cocaine has pharmacological actions that are very similar to those of methylphenidate (Ritalin), which is now the most commonly prescribed psychotropic medicine for children in the U.S."
That methylphenidate (Ritalin, Concerta) and amphetamine (Adderall, Dexedrine) produce effects similar to cocaine in laboratory animals and in humans. In clinical studies, methylphenidate and amphetamine produce behavioral and psychological effects similar to cocaine. In simple terms, this data means that the human body cannot tell the difference between cocaine, amphetamine, or Ritalin. 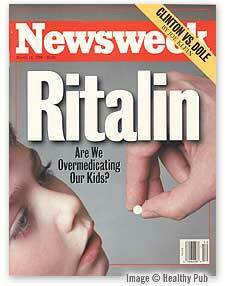 Ritalin effects children the same way related stimulants like cocaine effect adults. Just as predictably, children are subject to Ritalin side effects, as adults are subject to the side effects of cocaine and other stimulant drugs.Aside from the Ritalin side effects and potential for Ritalin abuse and addiction, another disturbing aspect of Ritalin is the long-term Ritalin side effects. Until recently physicians believed that Ritalin side effects remained as short-term. Scientists at the University at Buffalo found otherwise. Research with gene expression in animals suggests that Ritalin has the potential for causing long-lasting changes in brain cell structure and function. Methylphenidate (Ritalin) appears to initiate changes in brain function that remain long after the therapeutic Ritalin effects dissipate. While research now indicates adverse long-term Ritalin side effects physically, other studies show that Ritalin use does not make an impact on behavior in the long run. A comprehensive follow-up study at Montreal Children's Hospital revealed that the behavior of hyperactive children did not differ significantly from the behavior of non-hyperactive children after taking ADHD medication for five years."